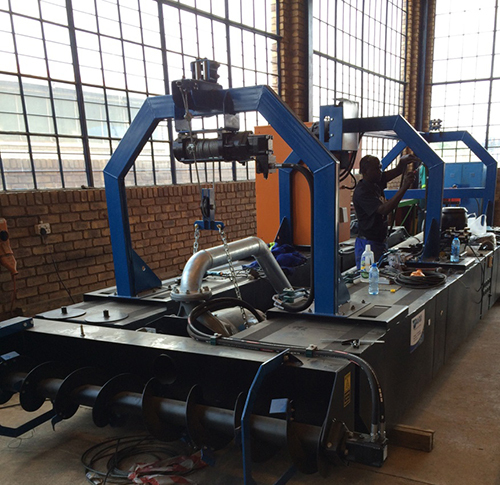 We fabricate Dredging Equipment locally at S.A.M.E. Manufacturing. 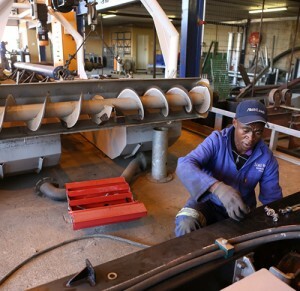 Our plant, which is based in Alberton, Gauteng, is approximately 8000 square meters and has a work force of 65 strong. Having this fully equipped workshop and a highly qualified team of engineers, boilermakers, welders etc., allows us to manufacture world-class equipment. We also have teams ready for any servicing or repairs that are needed. S.A.M.E Manufacturing have a good team of design engineers that are involved in research and development and we are therefore capable of manufacturing job specific equipment as we understand that each job is unique. 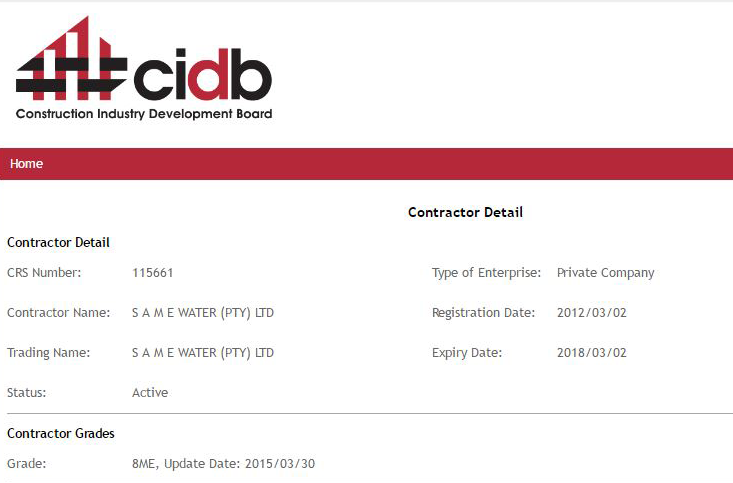 If a dredger is purchased by the client S.A.M.E can supply dredger operators to run equipment. S.A.M.E. Dredging's flexible service offering that we are able to not only extend to clients a rental, rent-to-buy and dredger purchase option, but we are also able to train our clients employees. Our team of qualified, experienced and skilled dredging specialists are able to custom-design training programmes to suit specific dredging project needs and to address the long-term dredger maintenance programme. The S.A.M.E. Dredging operations boasts a sizable fully equipped workshop for the maintenance of dredger units. Effective and time-efficient maintenance of these machines are of paramount importance to us as we prefer that there are no dredger units at our workshop for extended periods. Where needed, S.A.M.E. Dredging is able to dispatch a team for on-site repair and since the units spares are locally-manufactured, quick turnaround on quality products is guaranteed. Our research & development in the dredging industry is constant as we are always looking to improve and adapt to exceed our client’s expectations. We are always up for a challenge providing excellent service and expertise.